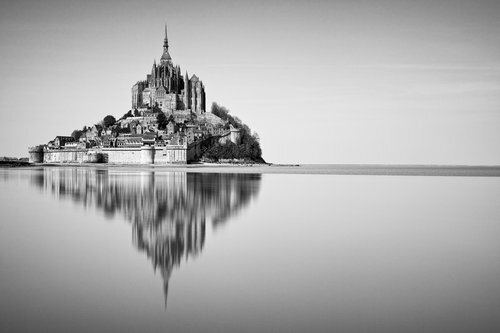 'Le Mont Saint-Michel' by Christophe Kiciak - DPC Prints! Printed from the high-resolution version (5204x3469) of my "Black & White Landscape" challenge entry. This photograph originally appeared in the Black and White Landscape Challenge.